Boiswood has been a respected & leading manufacturer in gas and liquid controls since it was established in 1989. Starting the business in Chesham Bois, Buckinghamshire with the woodland alongside the office called ‘Gt Bois Wood’, the name ‘Boiswood’ was born. Tony, who created the business along with 2 other guys several years ago, carries the company to this very day. Tony bought the shares off of his two fellow business partners as they pursued other interests. Luckily for Tony, Boiswood is a company that has achieved many goals and continues to each day, with new and loyal customers from the most advanced manufacturing facilities. With the pace Boiswood is running at, the company will have tripled by 2020! 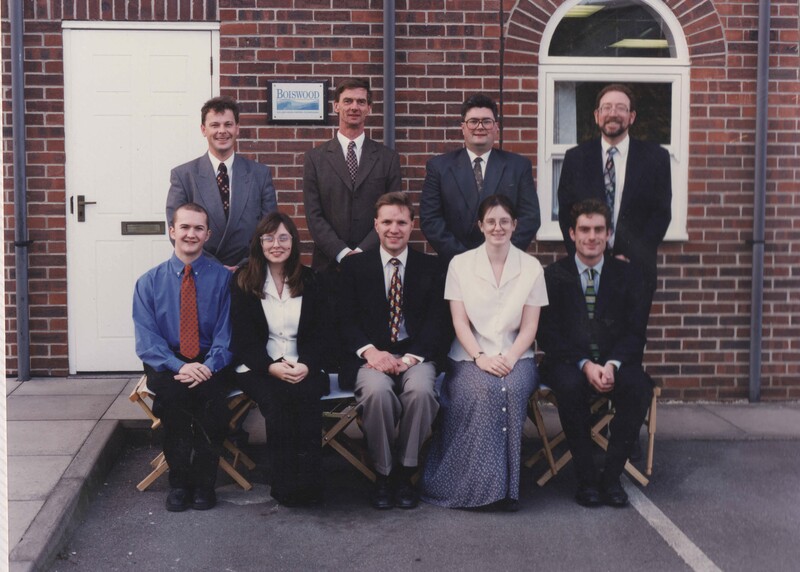 Since 1989, Boiswood have continued success built on their own company core values. These are: Continuous Improvement, Customer Focus, Integrity, and Respect. Every day you can improve on tasks/projects you have done daily for years. Boiswood keep an open eye on learning from one another; whether it’s a new strategy on service or even how to make better cup of tea! Focusing on the customer is key. At Boiswood, customers are guaranteed satisfaction. With the company aspirations and targets, the Boiswood team work together like clockwork to assure the best customer experiences. Boiswood is supported by a team who are driven by their integrity to succeed in every task they are given. Doing the right thing for themselves, the customers and their fellow colleagues; the individuals who work for Boiswood never cease to come through strong! Respect is a very important value. Respect for the customers, colleagues, work environment & for yourself. Tony, being brought up with this value, has implemented it within business, creating morals and grounds for everyone to stand on. All Boiswood employees abide by these core values. This makes a calm, organised, enlightened company that looks after their customers with the utmost respect. The Boiswood team are always ready to take on new customers who are interested in their range of products. They offer products in 6 different categories. 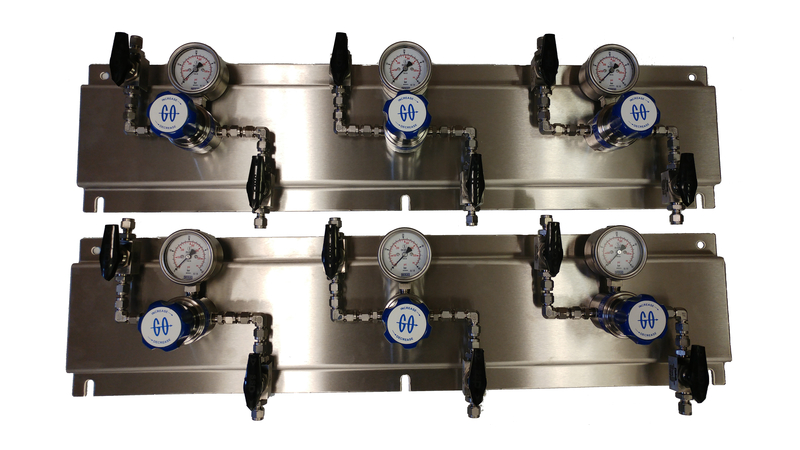 Pressure/vacuum, flow, level & temperature, tube & fittings, HVAC/R and custom service. These categories have hundreds of different types of engineering and mechanical goods! 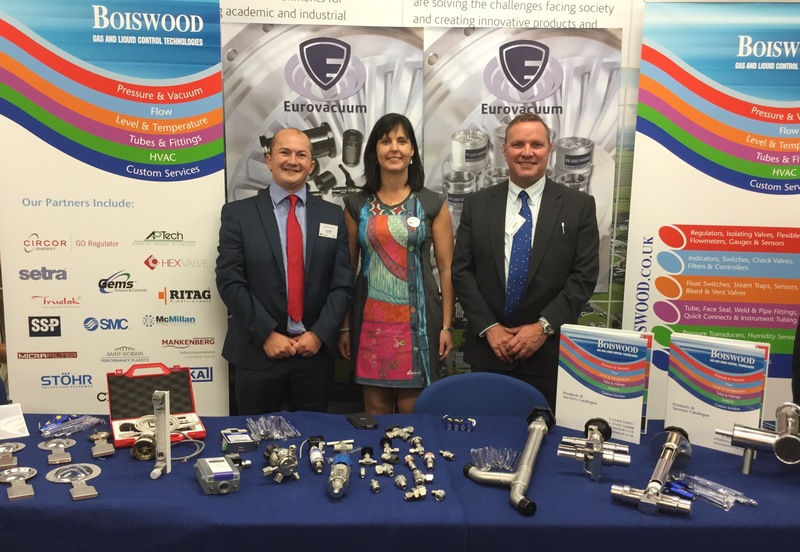 Being a professional business who supply products for the UK’s most advanced manufacturing facilities, Boiswood cover a wide territory across many markets such as; chemical, HVAC, oil & gas, power, cryogenics, food & beverage, renewable energy and semiconductor. Being versatile in what they can offer, Boiswood are definitely one of the best for the control of gases and liquids! 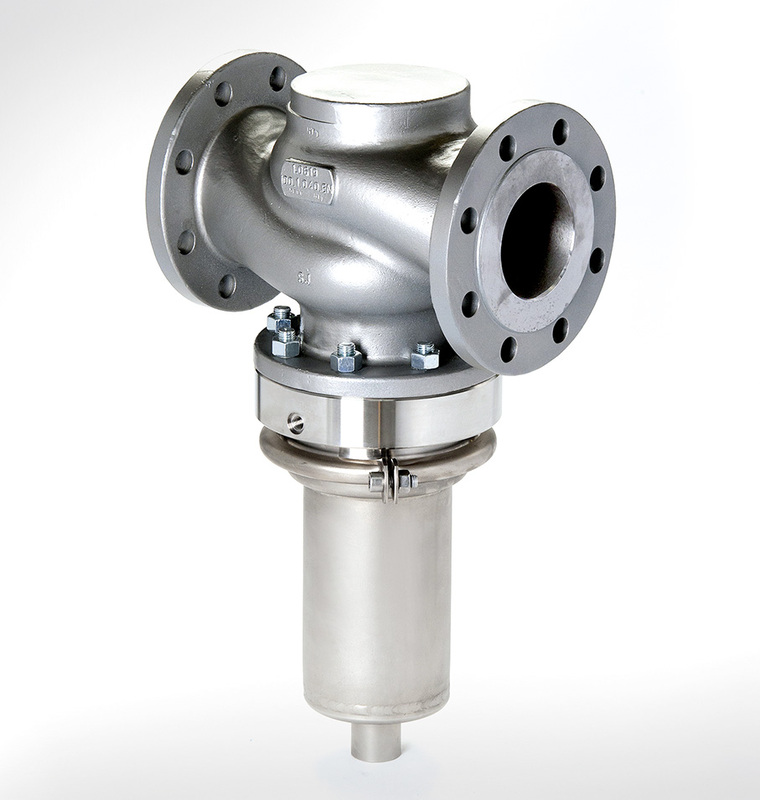 An excess flow valve (EFV) is an automatic shutoff valve through which pressurised gas or liquid flows, and it is essential for many pipeline applications. 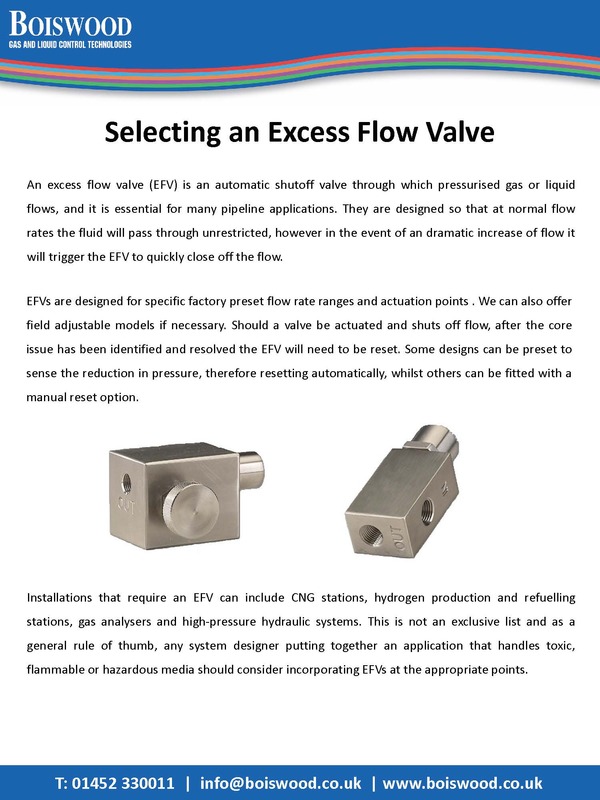 They are designed so that at normal flow rates the fluid will pass through unrestricted, however in the event of an dramatic increase of flow it will trigger the EFV to quickly close off the flow. 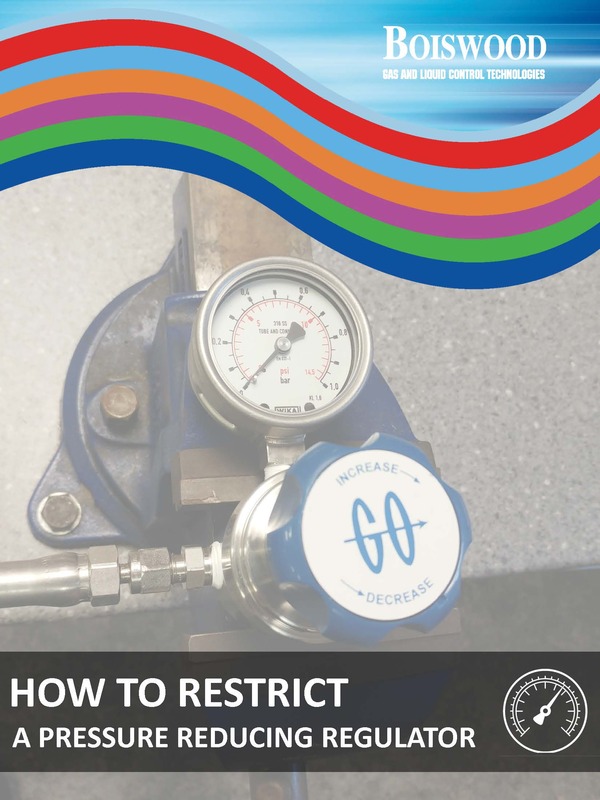 It is general practice to have the outlet pressure range of a regulator able to reach it’s maximum potential. The maximum outlet pressure of a regulator is often determined by the internal diaphragm and range spring. These are selected based on what outlet pressure range was originally specified for the regulator. The ATEX Directive 94/9/EC controls all manufacture and import of equipment for use in explosive atmospheres, including non-electrical items. ATEX requires that the equipment be safe and bear a label indicating the conditions under which it is approved for use. 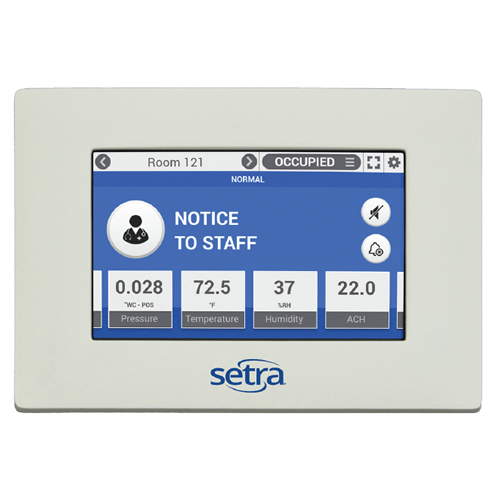 The Setra FLEX™ provides a flexible room environmental control and monitoring solution in a simple-to-use package. An attractive flushmount faceplate is complemented by an intuitive graphical display to meet any architectural requirement. The unit supports 3 rooms, monitoring up to 6 parameters for each room. If additional I/O is required, an expansion I/O module enables the monitoring and control for more complicated applications. An optional differential pressure sensor can be either factory-installed in the unit or ordered separately and installed above the ceiling. Integration with building automation systems is made easy through either BACnet/IP or BACnet MS/TP network protocols. The Power Battalion 48 is a multi-circuit, revenue grade power meter designed to significantly reduce installation time and cost per metering point. The Power Battalion 48 can be used with standard CTs, 1 Volt output or less, or with Rogowksi style CTs to monitor any combination of up to 16 three-phase or 48 single-phase loads. The versatility of the device allows monitoring of two separate voltages and transformers on same meter simultaneously. 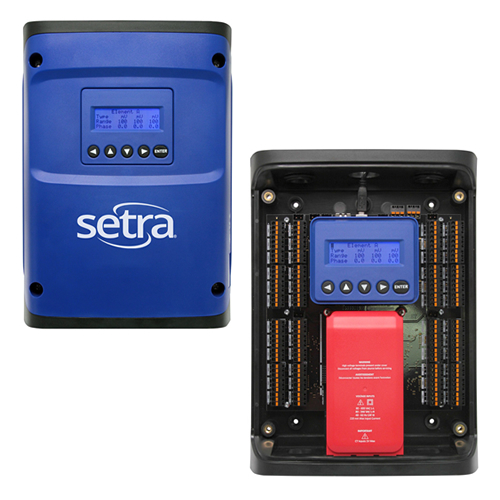 The Setra power meter provides ANSI C12.20 accuracy on all circuits being metered. Boiswood offer a broad range of configurable pressure transducers providing accurate measurement for all of your HVAC/R application needs. We supply top-quality, low cost and easy-to-install products for general HVAC, critical environments, energy monitoring and building management systems – always keeping in mind your efficiency requirements and profitability standards. We will be exhibiting at stand C38 at the HVAC & Refrigeration Show at the ExCel London. Come and visit us on the stand to check out our vast range of industrial and differential pressure transducers, room condition monitors and power meters. 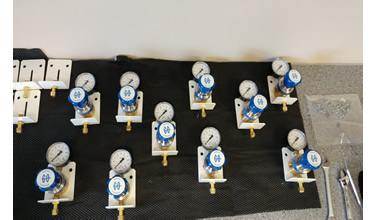 Boiswood are now distributing in the UK for H+ Valves, a well-respected manufacturer of safety valves and sampling systems that meet strict demands of industrial process. We can offer a vast selection of process and instrumentation safety relief valves - from a standard "ex-stock" range or customised to your specification. We can propose a safety valve suitable for your application, sizes from 1/4" to 8", in Stainless or Carbon Steel, threaded or flanged - whatever your specific needs contact us today. All safety valves come with a technical documentation package consisting of maintenance/seating instructions, declaration of conformity to PED & ATEX, material certification and capacity calculation - all free of charge. With the global biogas market estimated at £1trn and energy security, climate change and the UN Sustainable Development Goals driving the need to rapidly increase the uptake of biogas, UK AD & Biogas and World Biogas Expo 2017 is the place to come to find out why and how. Taking place on the 5-6 July at the NEC in Birmingham, it will be the show’s seventh consecutive year and will consolidate its position as the #1 global trade show for the biogas industry. This year the show will benefit from its new partnership with the World Biogas Association (WBA) to showcase the global biogas industry at ADBA’s leading event, which last year was attended by participants from over 50 countries. Exhibitors throughout the combined event will be showcasing all the products and services required to commission, build and operate all types of biogas plant, including agricultural, commercial and sewage treatment plants. The show will also cover for the first time landfill gas and food waste collection systems, as well as everything needed for heat and power networks, and using biomethane in transport. At Boiswood we stock a wide variety of components to assemble Pressure Reducing and Back Pressure regulators. From the GO product range we can generally assemble the PR1, PR2, PR7, PR50, BP3, BP8 and BP60 models to your required specification from stock. We would then pressure test the assembled regulators using our Nitrogen gas bottle to ensure they are functioning correctly. 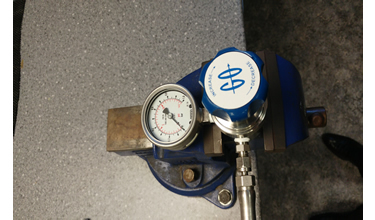 We can provide a copy of the pressure test certification on request. With this considered, it means you could have your regulators assembled, tested and despatched on a next-day service, after the processing of your order. In order to comply with the BCGA's recommendations of servicing/replacing regulators after a 5-year operation period, many users call on Boiswood to service their GO regulators. 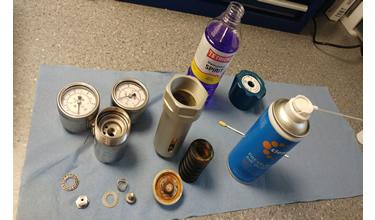 Whether you require repairs for a faulty/broken regulator or just a general service - We will quickly turnaround a detailed corrective action report and recommendation for any spare parts. We can help to diagnose the causes as to why the regulator may have failed in service, always with the objective in mind of lowering your costs. Again all regulators are assembled and pressure tested before they are returned to you. We will work closely with you to provide component subassembly and panel solutions suitable for your application. Looking at the example to the left, we will take your required specification and produce a solution for you to sign off on. From there we can gather all of the necessary components and begin to create a suitable subassembly for your application. Whatever your requirements contact us today for technical consultation. can relay to an electronic switch (ie. actuating an alarm or circuit). off liquid surfaces and the gap area therefore detects its presence or absence. can then switch to the required output. encapsulated reed switch to its required setpoint. Depending on design these can be mounted vertically or horizontally. travel up to the speed of light. This provides a very high accuracy and repeatability for the users. For more information on the displayed products, click on an image to go to the product page. The Model 209H pressure transducer is designed for customers who require high performance, reliability and versatility in harsh applications. The Model 209H features all 316L stainless steel wetted materials, ideal for the demanding requirements of the alternative energy and industrial market. The sensor offers many pressure and electrical connections to satisfy challenging installation requirements. 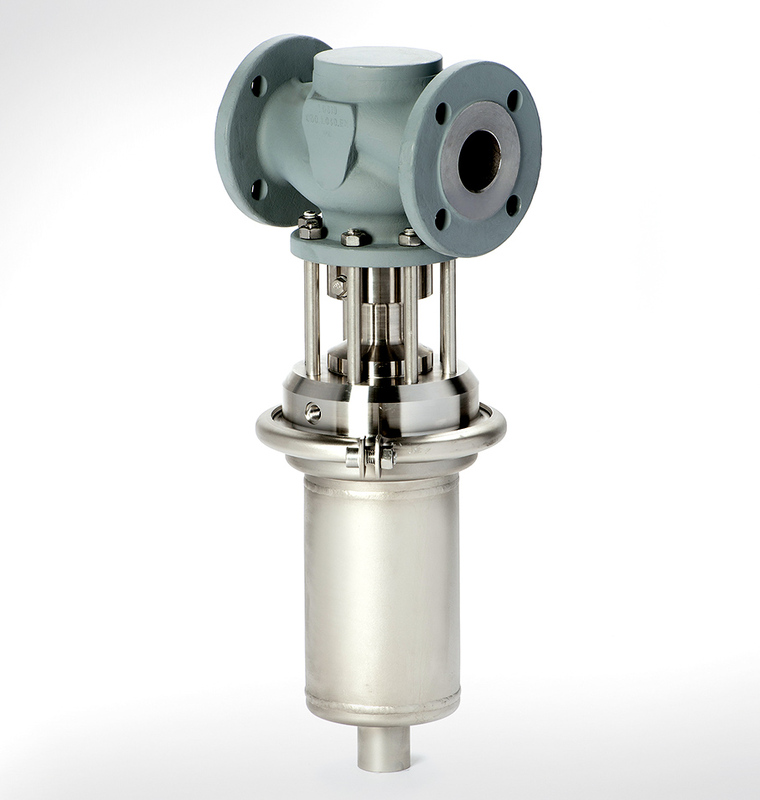 The 209H is available with a patented overpressure stop to protect the transducer against unexpected spikes or in high pulsation applications. Rugged 316L SS Construction -The sensor and all wetted material of the 209H are manufactured using a 316L stainless steel, enabling the sensor to stand up in corrosive applications. Accurate and Reliable -The Model 209H is designed and built to withstand demanding applications. The unit comes standard with an accuracy of ±0.25% FS across a wide pressure range offering, providing high performance at a low cost. Setra’s new Model 209H is designed with all 316 stainless steel wetted materials eliminating the risk of hydrogen embrittlement. The transducer is offered in a variety of pressure ranges and electrical fittings to meet a wide range of installations and applications. Hydrogen embrittlement is the process a material goes through when it comes in contact with forms of hydrogen. This process causes the material to lose ductility, making the material brittle and prone to the propagation of fractures and cracks in the material. These cracks may allow hydrogen to pass through a diaphragm or surface into the sensor or surrounding area posing potential safety risks as well as contamination of the system. What are the different types of pressure transducer? The Chemical Vapour Deposition method involves bonding a polysilicon layer to a stainless steel diaphragm. This is done at the molecular level to produce a sensor which then has a superior long term drift performance. Semiconductor manufacturing processess are used to create a polysilicon strain gauge bridge with superior performance at a very cost-effective price. Chemical Vapour Deposition units are the most popular sensor for OEM applications construction as they can offer excellent price and performance. The Capacitance Type is used for a large variety of high volume OEM bespoke applications. Measuring capacitance change between two surfaces allows for transducers to detect very low pressure and vacuum levels. Their extremely robust construction lets capacitance units to be used in a huge range of applications. They offer great price and performance benefits. 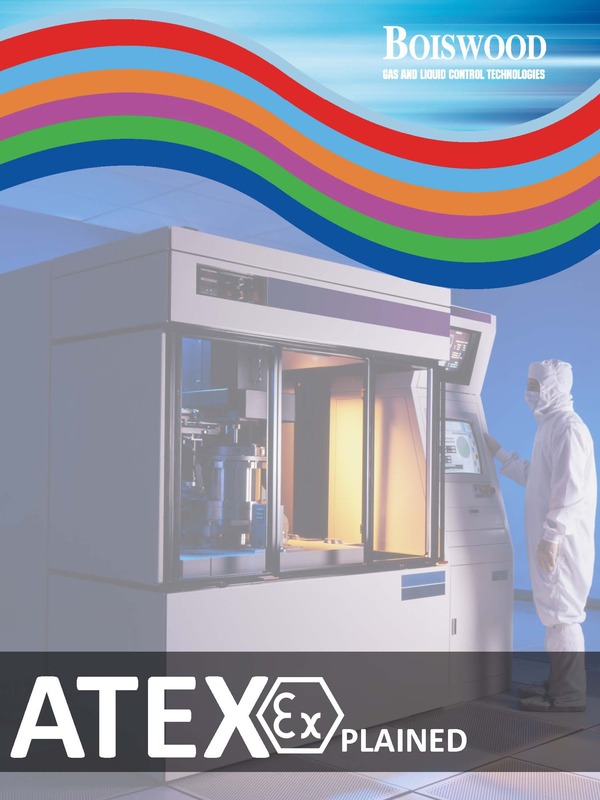 Sputtered film deposition creates transducers with maximum combined linearity, hysteresis and repeatability. These types of units allow for extremely high full scale accuracy and very low long term drift. Accuracy is as high as 0.08% full scale with long term drift as low as 0.06% full scale per year. They are most commonly used in critical applications where precision is a must-have. MMS transducers use micromachined silicon (MMS) diaphragms to sense pressure changes. The silicon diaphragm is protected from the process media by an oil-filled 316SS isolation diaphragm. MMS transducers are manufactured through common semiconductor techniques. These units off a great proof pressure, linearity and stability. For technical support on your application, get in touch with us today. As of 1st September 2016, Boiswood has been an official distributor for Eurovacuum High Vacuum Products. We are a leading UK engineering business for high quality pressure, flow, level and temperature products supplying to many of the UK's best manufacturing facilities such as Diamond Light Source and Rutherford Appleton Laboratory. We will represent Eurovacuum Products complete line of high vacuum products, which is constantly being upgraded and expanded. For further information on the range of high vacuum products, click here. Sinking and sourcing are terms used to describe how a load (the device being turned on or off) is powered in regards to the sensor. Sinking is the most common and it involves the switching of load current (power) supplied by a power source external to the sensor. With this configuration, current passes through the load first, through the output switch of the sensor second and finally to ground. Sensors with sinking output switches the negative leg of the circuit. Sourcing refers to a configuration in which the sensor is the source of the current required to power the load. In a sourcing situation, current supplied by the sensor passes through the load second and then to ground. Sensors with sourcing output switches the positive leg of the circuit. Wet sink - The load is energised as long as the sensor tip is immersed in fluid. Dry sink - The load is energised as long as the sensor tip is dry (not immersed in fluid). Boiswood is now distributing Kobold product. The KOBOLD Messring GmbH is one of the leading international instrumentation engineering enterprises specialized on monitoring, measuring and regulating the physical quantities of flow through, pressure, level and temperature. Boiswood are looking to display select Kobold products on this website by January 2017. To enquire directly about the Kobold range, please fill out the form here. Setra’s Model 267 is the most rugged high accuracy, low differential pressure transducer on the market. It delivers accuracies of ±0.25%, 0.4%, 0.5% and ±1% FS and pressure ranges from 0.1” W.C. up to 100” W.C. The 267 is housed in a robust, NEMA 4 rated enclosure and has an optional static pressure probe reducing installation and material costs. The 267 is offered with an optional LCD display and a standard accuracy of ±0.5% making it ideal for high accuracy Pharmaceutical applications. The 267, unlike most competitors, offers many mechanical and electrical options that can be integrated into existing designs. The optional 0.25” diameter pressure probe is made of sturdy extruded aluminum and is designed with baffles to prevent velocity pressure errors which saves money and reduces time on the job site. wall and duct mount providing the installer with flexible mounting options. The wall mount allows the sensor to be installed anywhere, whereas the duct probe configuration is designed to maximize space efficiency in difficult applications. The core technology of the 267 is the all stainless steel capacitive sensing element. Setra designs and manufactures all of their sensing elements resulting in full control over the process and quality of every single sensor. The welded dead-ended capacitive sensors requires minimal amplification and delivers excellent accuracy and longterm stability. Setra’s technology has been used in over 8 million installations and has the highest field acceptance rate in the industry. Uniquely designed to reduce customer downtime, the rugged and compact XLS-1 with microcontroller has no moving parts and reliably senses oil, water and harsh chemicals while ignoring foam and condensation. The XLS-1 product line offers six (6) standard thread options for ease of installation. The multiple thread options reduces design constraints and enables customers with complex systems to avoid lengthy design changes. In addition to meeting IP67, Gems XLS-1 meets IP6K9K – a more stringent requirement for high-pressure/ high-temperature wash downs. The industry leading IP standard reduces customer worry about moisture ingress in tough environments. The XLS-1 comes pretested to industry-leading load (15 G), temperature (-40°F to 257°F/-40°C to 125°C), vibration (10 to 2000 Hz) and pressure (250 psi with capability up to 500 psi – consult factory) standards to reduce your overall product testing.